There is so much to talk about when it comes to the Walt Disney World Railroad, I hardly know where to begin! As most of you know, Walt Disney was an avid railroad enthusiast, and even had a train setup in his backyard! It was called the Carolwood Pacific Railroad, and he loved to navigate around his yard on his trains! Additionally, as you all know, Mickey Mouse was created by Walt Disney as he was on a train from New York, after he lost the rights to Oswald the Lucky Rabbit to Universal. So it is no surprise that Walt Disney incorporated trains at both Disneyland and Walt Disney World. The Walt Disney World Railroad was in operation on Day One, October 1, 1971. The four main locomotives were built between 1916 and 1928 by Baldwin Locomotive Works. 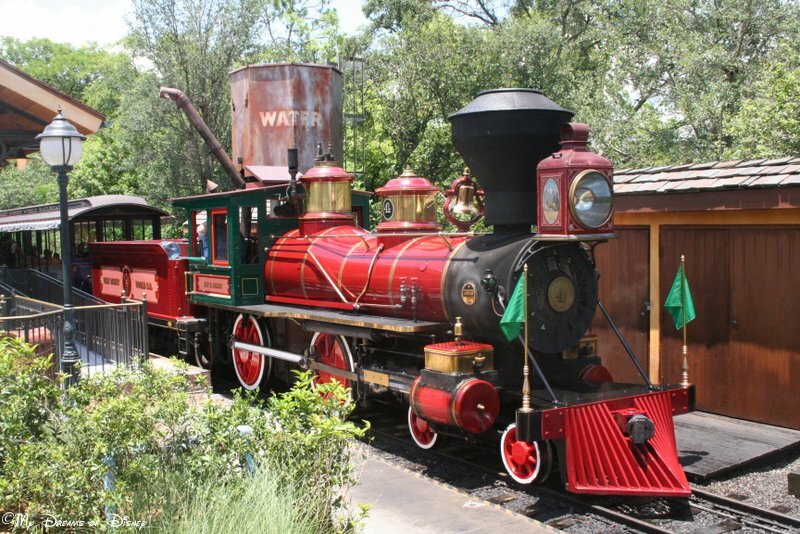 Of course, the number one train in the fleet at Walt Disney World was the Walter E. Disney, a 4-6-0 “Ten Wheeler”. This train was built in 1925, and is identical to the No. 3 Train that I’ll discuss in a bit. This train, built in 1928, the same year that Mickey Mouse was created, is a 2-6-0 “Mogul” train. This locomotive is a 4-4-0 “American” built in 1916, and is the oldest of the four trains. When the trains were being named, the story goes that the Imagineers asked Roy if he wanted to have his name on the No. 3 Train since they were identical. Roy declined, saying that he “didn’t want to be compared to all the great things Walt had done.” This blogger would like to tell Roy that he did some pretty great things himself. The Walt Disney World Railroad has three stops — one at Main Street, U.S.A., one at Frontierland, and one at Fantasyland, which used to be the stop for Mickey’s Toontown Fair. You can get on and off at any of the three locations, and you can also, to the best of my knowledge, stay on the train for multiple loops around the Magic Kingdom. One complete loop around the Park is about 20 minutes in length. The Walt Disney World Railroad plays an instrumental role during the Magic Kingdom “Rope Drop” ceremony that opens the park. Mickey, Minnie, and a whole slew of characters will welcome you to the park, and Mickey will count down from 10 for the park to open! The Walt Disney World Railroad is a classic Disney attraction, and is well worth taking a ride on. As you navigate the park, you’ll see special areas that the Imagineers have created to feature on the ride. This relaxing trip will allow you to take a load off your feet while still enjoying all that Disney has to offer. Enjoy! I’m sharing this post as part of the #ThrowbackThursday post from my friends over at Frontierland Station! Here are the links, click on them and check out the great entries! Thanks, and make it a Disney Day everyone! The Jungle Cruise, located in the land of Adventureland at Walt Disney World’s Magic Kingdom, is probably one of the most unique attractions in all of Disney. This classic attraction, which opened on Opening Day, October 1, 1971, is a boat ride — but not just any boat ride! The Walt Disney Imagineers received their inspiration for The Jungle Cruise primarily from two sources — the first being a True-Life Adventure about a pride of lions, and the second being the 1951 film The African Queen, starring Humphrey Bogart and Katharine Hepburn. The Jungle Cruise is one of those rides that I just really enjoy riding. When I was younger, I didn’t really care much about the Jungle Cruise, but lately, the ride has captured me and drawn me to it. I think it all started when we had the pleasure of visiting Walt Disney World with my sister-in-law Nancy and her family. Since Anna Jane had never been before, we made it our goal to try and expose her to as much of Disney as we could, and that included riding The Jungle Cruise. Then, when Cindy, Sophie, Stephanie and myself went to Walt Disney World for the Food and Wine Festival (and more importantly, the 40th Anniversary of the Magic Kingdom) — on October 1st our goal was to experience all of the original attractions at the Magic Kingdom that are still open today — and that meant also riding The Jungle Cruise. One of the best features of the ride, in my opinion, is that corny script that the boat captains have. 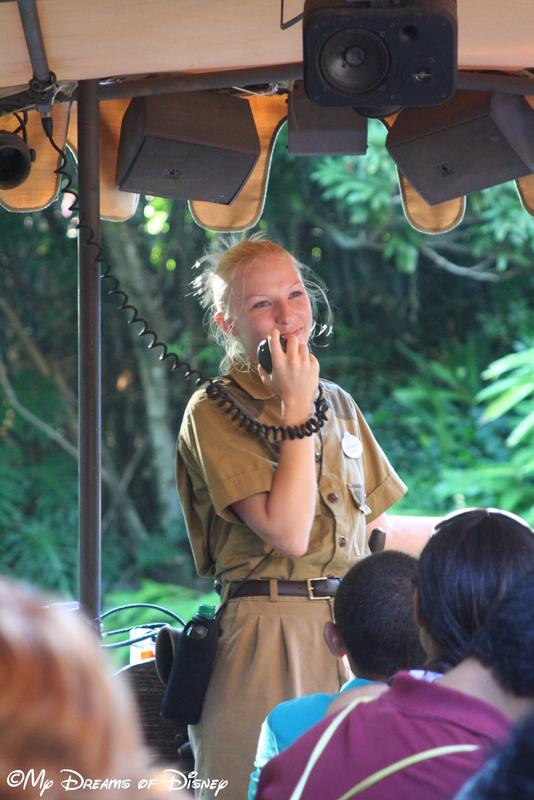 We had as our boat captain when we rode it at the 40th Anniversary Veronica, and she was in perfect Jungle Cruise Captain form that day! The queue for the Jungle Cruise is set in a depression-era theme, where you are navigating towards the dock of The Jungle Navigation Co., a company that offers tours of the Amazon River. One of the most notable areas is the office space of Albert Awol — who, by the way, just happens to be missing. His voice, however, can be heard on the radio, if my memory serves me correctly. Of those fifteen boats, I have two trivia questions for you — which boat is the only one that has ever sunk at Walt Disney World? And secondly, which boat listed there is the only one not named after a river? Why not tell me the answers in the comments below, and thanks for playing! 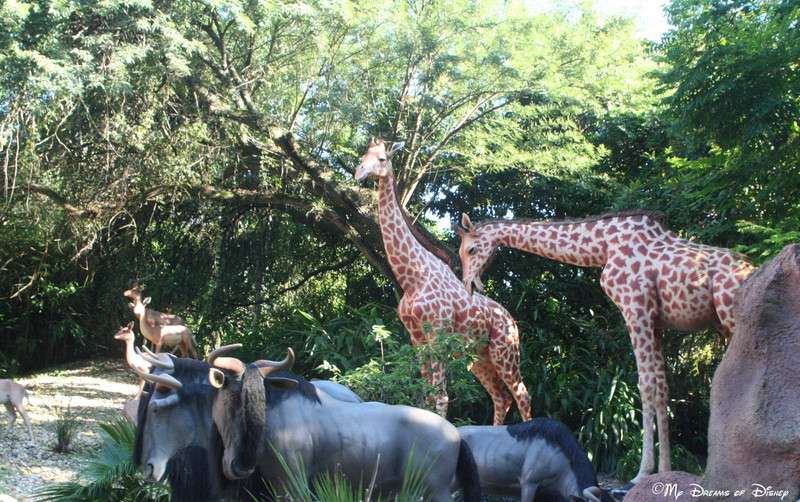 When it comes to The Jungle Cruise, in my opinion it’s got several things going well for it. For starters, you’ve got a relaxing boat ride down some of the world’s major rivers. Secondly, your boat captain keeps things lively by telling you some great corny jokes. Third, the scenes are a lot of fun, and the plants that landscape architect Bill Evans selected are really interesting to look at. When it comes to the classic Magic Kingdom attractions, the Jungle Cruise is one that has it’s own unique twist, and is one that is truly one of a kind at Walt Disney World. New Series on My Dreams of Disney! The classic Magic Kingdom ride “it’s a small world” is a one of a kind ride that brings all of the elements together to make a truly incredible ride that is enjoyed by millions of people every year. The history behind “it’s a small world” takes us all the way back to the 1964/65 New York World’s Fair, as the attraction originally started life as “Pepsi Presents Walt Disney’s ‘It’s a small world’ – a Salute to UNICEF and the World’s Children.” The attraction that was at the Fair was moved to Disneyland after the fair closed, and is there to this day. The attraction at Fantasyland in the Magic Kingdom is a replica of that one. In “it’s a small world”, you ride on a boat ride around the world as you learn that, while we all have differences that make us unique, in the end you learn that we are all human, and that we can be unified as one as long as we remember that. It is the things we have in common that can bring us together, not the things that separate us. At the end of the ride, in the last scene, you see that all of the children are dressed in white in costumes of their culture, singing as one. Originally, the music to the ride was going to be the national anthems of each of the countries depicted, sung by the children and played all at once — but the result was a cacophony of noise! Walt approached Robert and Richard Sherman and told them he would like one song that could be translated easily into additional languages and played in a round — and out of that request “It’s a Small World (after all)” was born. 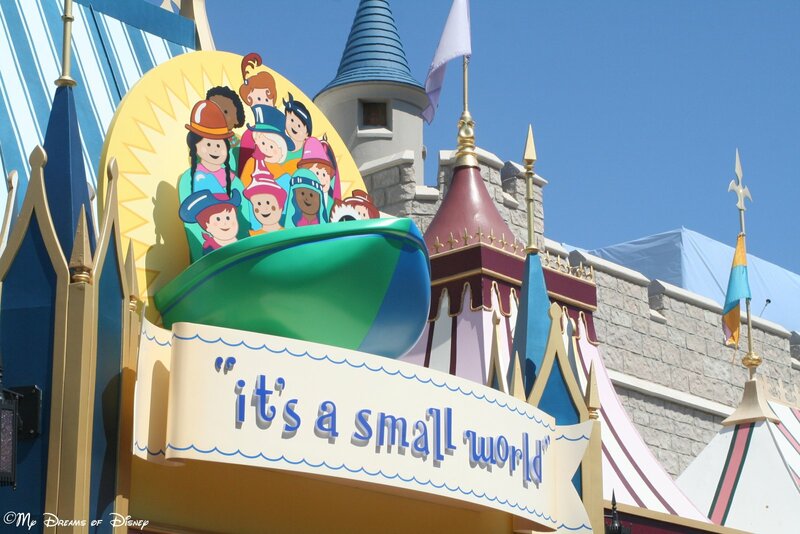 Did you know…that the song “it’s a small world (after all)” was written in the wake of the Cuban Missile Crisis? In researching this post, I found this YouTube article discussing the song, and what it is really all about. Take a listen, and perhaps have a change of heart about the song and what it means to you, if you don’t like the song. The beauty of “it’s a small world” is in the message, and the message is, plain and simple, that we are all in the world together, that it is so much better to be united in fellowship then divided in anger. “It’s a small world” may not be your favorite Disney attraction for many reasons, but as for me and my family, it’s a classic, and one that we must ride at least a few times per trip to Disney. I can’t wait to see how things are different for “it’s a small world” when we get to Disneyland in a few months as opposed to Walt Disney World! What do you think about “it’s a small world”? Do you like it, do you hate it, or is it somewhere in between? Why not let me know in the comments? Thanks! 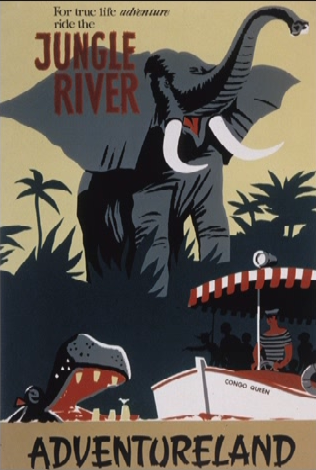 On Monday we’ll continue our look at what makes the Disney attractions great by taking a look at the Jungle Cruise! However, before then look for an all new Friendship Friday post tomorrow! With the start of the new year coming tomorrow — and everyone, please be safe tonight if you go out to any New Year’s Eve parties — I thought I would take a little time to focus on a new series that I’m going to start. As all of you know, the theming at Walt Disney World is among the best in the world, and in many ways, the theming is what really makes the rides stand out. So, starting with our post on Thursday, I’m going to take a look as some of my favorite attractions at Walt Disney World, and share with you some of the things that I really like about them, both in the ride operation areas as well as the theming of the queue, and also the music that makes the attraction stand out. To start off our series, we are going to first turn our focus to the original Walt Disney World attractions that were in place when the Magic Kingdom opened on October 1, 1971. As you can tell by the picture at the top, “it’s a small world” is the first stop on my journey. This classic attraction has a lot of historical significance to it, as well as classic music and characters. I hope you will join me on Monday and Thursday mornings as we journey around the Walt Disney World Resort, exploring all of the incredible attractions that make Walt Disney World the vacation destination that it is!